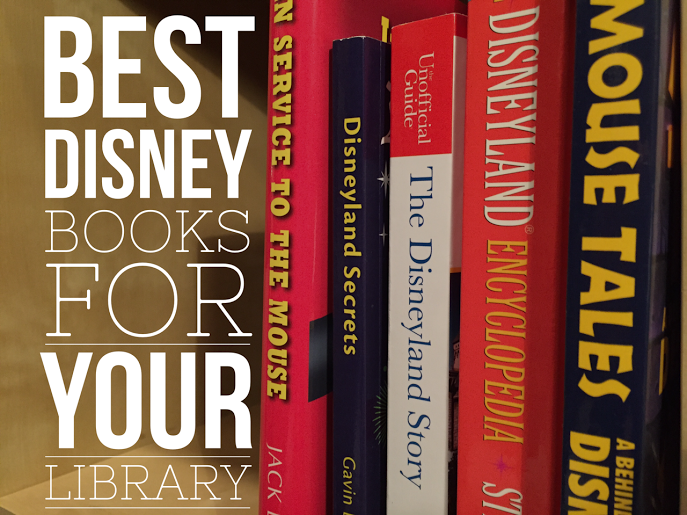 There is an incredibly wide selection of books available on every aspect of the Disney Company. This article highlights my favorite Disney books that feature the Disney films, theme parks, and company history. Over time I will continue to update this page, but for now I will present to you my favorite books, plus new books that were released this year. Everyone in my family knows me as a Disney enthusiast. Therefore, quite frequently, the gifts I receive on Christmas morning are Disney centric. This is the perfect page to send off to your family–who I am sure knows you as a Disney fan–so that they know what to get you for Christmas. Each of the books are presented with a brief description and link to their page where you can find them on Amazon. What are your top Disney books? Comment below (one giveaway entry per comment). The books are separated into categories based on the style. The categories include: historical reading, coffee table books, and in the park reading. The Disneyland Story by Sam Gennawey is the closest thing that Disneyland has to an historical textbook. This book is constructed as the biography of Disneyland. Not only does this book provide hundreds of quotes and stories, but it provides a thorough bibliography for each chapter that provides much more thorough reading. When you are ready to go on a deep dive into the history of Disneyland, this is the book for you. The Unofficial Disneyland Encyclopedia contains references for almost everything, every person, and place in Disneyland past and present. With explanations for items ranging from the now defunct Crocodile Mercantile store to the area previously known as Magnolia Park. Each time that you open up the book, some new tidbit will jump off the page. The Unauthorized Story of Walt Disney’s Haunted Mansion walks readers through the twisted story leading up to the creation of Disneyland’s Haunted Mansion. This fascinating story could be the most unique back story to any Disneyland attraction because Walt Disney passed away and left no heir apparent for who would be the leader making the final decisions on the project. Each scene of the attraction is highlighted and dissected piece by piece. A fun read. Before Ever After: The Lost Lectures of Walt Disney’s Animation Studio consists of the manuscripts of the lectures given to the Disney Animators as the studio was transitioning from creating short films (Silly Symphonies) to their first feature film (Snow White). The book was partly compiled by legendary Disney producer Don Hahn. You can hear more about the book and Don’s work at Disney in our podcast interview. Mouse Tales: A Behind-The-Ears Look at Disneyland was the first popular non-Disney approved book to appear on the market. The book is filled with stories collected from ex-Cast Member interviews. This book is lighthearted and really dishes on the past of the Disney company. Watch out if you don’t want to have any of the secrets of the park divulged. This book reveals the early not-so-politically correct backstage happenings in Disneyland. On the Disney Beat: Over 30 Years of Chronicling the People and Places in Walt’s World is a combination of a memoir and history book highlighting a few key people in the “Disney World.” The book is written by long time journalist Chuck Schmidt. Over the years he has been responsible for providing unique coverage of the Disney Parks and opens up about being a member of the press in this book. He also highlights the stories of a few incredible people he has met over the years working for Disney. 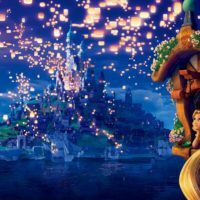 Everything I Know I Learned From Disney Animated Feature Films: Advice For Living Happily Ever After is the most recent book by Disney historian Jim Korkis. That alone should have you jumping at the bit to purchase the book. Inside you will find life lessons mixed with Disney history told in a way that only Jim Korkis could. In Service to the Mouse: My Unexpected Journey to Becoming Disneyland’s First President is my top recommendation for anyone who is even slightly interested in Disney history or business. This book written by Jack Lindquist, the first president of Disneyland, offers a behind the scenes look at all of the fun he had while working for the company. The book is a light read–separated into chapters by story. If you are anything like me, you will laugh out loud and finish the book the same day you pick it up. Dream It! Do It! : My Half-Century Creating Disney’s Magic Kingdoms is the memoir of Disney Legend Marty Sklar, who served as head of Walt Disney Imagineering for quite awhile. The book is written in a similar style to In Service to the Mouse, however this book focuses on the history and facts while In Service highlights the emotional situations. Inside the Disney Marketing Machine is the memoir of Lorraine Santoli, former Director of Corporate Synergy for The Walt Disney Company. In the book, she shares stories from her early days working with the celebrities as a Disney publicist, time leading the marketing Disneyland, and unique appointment to the new division of corporate synergy under Michael Eisner. Windows on Main Street: 35 Years of Creating Magic at Disneyland Park is the memoir of Van Arsdale France, the man who created the world class concept of “Cast Member” training and the Disney University program. The book not only provides incredible lessons learned from his work creating the Disney training programs, but also stories ranging from the construction of Disneyland to the tough managerial style of Walt Disney. This book has been out of print of years, and was only just republished. This masterpiece is a vital addition to your Disney library. The Adventures of Tom Nabbe is an aptly titled book as it reflect the author’s first role working for Disney: playing Tom Sawyer. Nabbe lived just down the road from Disneyland and visited frequently during the construction of the park, which led him to be hired as the first actor to play Tom Sawyer. You won’t want to miss this book that culminates in the years leading up to Tom Nabbe receiving his well-deserved window on Main Street and Disney Legend award. From Jungle Cruise Skipper to Disney Legend: 40 Years of Magical Memories at Disney is written in a similar style of one of our Disney Dose podcast interviews. The book traces the life of Disney Legend William “Sully” Sullivan from his first days working in Disneyland through his forty year career at Disney which culminated in his leadership of the Magic Kingdom in Walt Disney World. The book includes many fascinating stories that are a perfect addition for anyone who is a fan of the details behind the Disney history. The Kingdom Keepers series are perfect books for anyone eight and up who wants a fiction book. This is a Young Adult series written by Ridley Pearson that tells the story of what happens at the Disney theme parks when the guests go home. Walt Disney Imagineering: A Behind the Dreams Look at Making Magic Real is perhaps my favorite book in my entire Disney library. The book walks the reader through the creative process that the Disney Imagineers use while creating each new attraction, restaurant, hotel, or entire theme park. The book is filled with glossy photos and insightful information. Walt Disney Imagineering: A Behind the Dreams Look at Making MORE Magic Real was written as a follow up to the Imagineering book I mentioned above. This book reveals even more information and updated stories based on the projects developed since the release of the first book. Once again, this is one of my favorite books in my library. The Posters of the Disney Parks provides a unique look into the changing process of creating the masterful Disney parks posters. Also inside is a beautiful gallery highlighting the most unique Disney parks posters from around the world. This book is a great piece to leave out on the coffee table for people to flick through. Disney Movie Posters: From Steamboat Willie to Inside Out was produced as a follow up to the successful Disney Parks Posters book explained above. 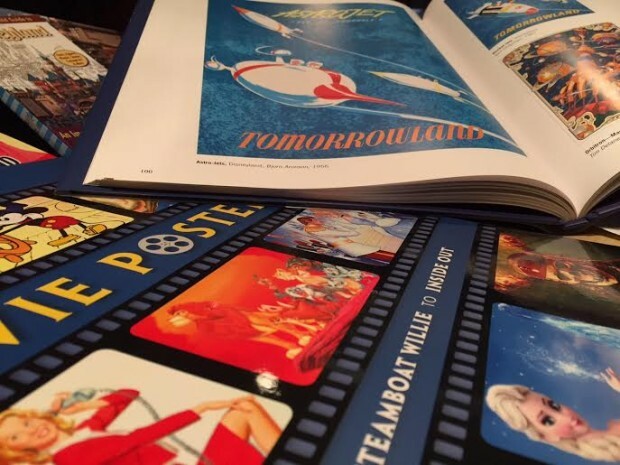 The book contains every Disney movie poster from “Snow White” all the way up to “Inside Out.” The book is a fun visual addition to your collection, but if I had to choose between this book and the Disney Parks Poster book, I would choose the Disney Parks book. Designing Disney by John Hench was recently described by Disney Imagineer Kim Irvine as the book you need to read if you have any interest in Disney history, working for the company, or design. The book highlights Imagineer John Hench’s life of work and advice. The Haunted Mansion: Imagineering a Disney Classic was recently updated to highlight new changes and stories from the Haunted Mansion attraction. This book traces the creation of the attraction through stories and photos from the first conception of a haunted house in Disneyland through the completion of the Haunted Mansion in Disneyland and of the other Disney Parks around the world. Pirates of the Caribbean: From the Magic Kingdom to the Movies is written in a similar style to the Haunted Mansion book mentioned above. The book follows the creation of the attraction through it’s inspiration of the block buster Pirates of the Caribbean films. These glossy books tell the story through rare photos and stories and are great additions to your library. Decorative Art of Victoria’s Era is the original book from which Walt Disney Imagineer’s drew inspiration to create the Haunted Mansion. The original concept drawing for the mansion was traced straight from pages of this book. While it was published in 1950, the price is still relatively low considering the mark that it had on Disney history. These books are filled with information and written in a way that is perfect to read at home or to take with you into Disneyland. These books help to enhance the magic in the parks or bring the magic home with you. Steven Barret has written Hidden Mickey guides for each Disney theme park around the world: Disneyland, Walt Disney World, Disney Cruise Line. 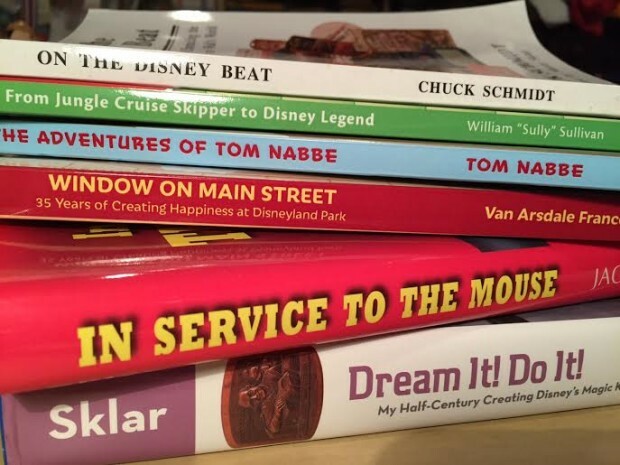 These books identify the hidden Mickeys that Imagineers often incorporate into the various new attractions. Bringing this book along on your vacation turns your trip into a special scavenger hunt. Seen, Unseen Disneyland is a photo guide to the unique design elements of Disneyland. This book will surely reveal something new to you during your next visit to Disneyland. Filled with fun photos and details from Disneyland park, this is a great way to visualize hidden details from Disneyland at home. Lots to Do In Line, a sort of multiple choice test for the small details hidden in the queues for attractions around you, is a nice way to pass the time spent waiting in line. The questions range from recounting specific details on a sign to locating items on a scavenger hunt list. The book is great for families with young children. There are versions for both Disneyland and Walt Disney World. The Imagineering Field Guide series is a fun pocket sized book that provides insightful tidbits of information about the history and surroundings in Disneyland and Walt Disney World. The book series includes rare concept art, interesting facts and figures, glossy photos, and incredible stories. Click here to see all of the Imagineering Field guides created for each park. Shhh! I don’t want to give it away. The answers are secret, until you read this book. The book is now available on Amazon in both print and Kindle editions. For the Christmas season we are offering exclusive bonuses to those who purchase the book. Included are even more secrets and a free copy of the digital version of the book. Claim your bonuses after purchasing here. Allow me to submit the following title: The Hand Behind The Mouse. 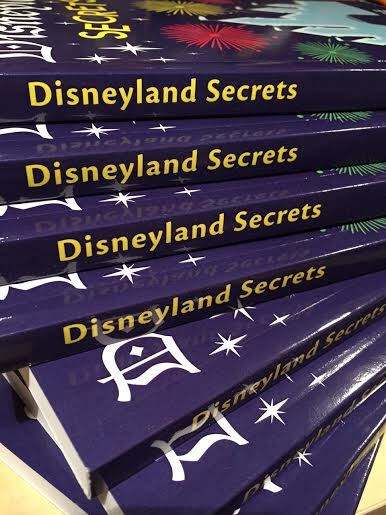 Well I do have Disneyland Secrets (kindle edition) so I can access it on my phone while I am at Disneyland…..my kids roll their eyes when I start scrolling to find info. LOVE IT! Thank you Chrissy! I am so happy that you enjoy my book. I have the kindle edition as well and LOVE IT!!! I thought I knew everything there was about Disneyland, then I read this book!!! Glad you enjoyed it Tink. I wish I could get the Disneyland Secrets book on my Nook. Sorry it currently isn’t available. If you purchase the physical copy of the book, I am more than happy to send you a pdf of the book that you can read on your Nook (because of my contract I can’t just sell you the PDF). Send me an email: [email protected] if you are interested. I like Mouse Tales by David Koenig. I work at a library and am always searching for Disney books! It’s hard to choose a favorite but I really love Disney U, and the Kingdom Keepers series is really good too. 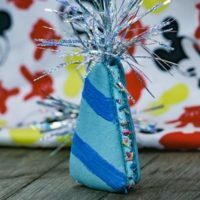 I’m super excited for this giveaway because I love Disney so much! It’s so magical? My favorites are the Imagineering Field Guides. So full of interesting tidbits! Love them all anything Disney! Love to read anything about Disney! Love it! The photos are wonderful. I have very much enjoyed The Hidden Mickeys of Disneyland. After hanging out there for over 3 years, it’s fun to share something like these little gems with my daughter. My favorite has always been Mouse Tales. The stories behind the scenes cracks me up. Just finished Marty Sklar’s book after meeting him in person recently at the Walt Disney Family Museum. I enjoyed his insights on his work at Disney. I am interested in the Unauthorized Haunted Mansion!! I would love to win the book collections. I already have about 8 of the books, this way I can give my 8 to my daughter. Love Disney Dose, so informative, keep up the good work. My recent favorite is your Disneyland Secrets! My other favorite read is ” The Unofficial Disneyland Encyclopedia”, and now I see I have A LOT of new reading to do! Keep up the great work Gavin. Thank you Marla. If you are looking for a great story read, definitely take a look at the In Service to the Mouse book linked above. Well, I’m so glad that you enjoyed that one. I have been wanting that calendar since it came out!!!! You will absolutely love the book. I would add “How To Be Like Walt” by Pat Williams and “Walt Disney – An American Original” by Bob Thomas. Both wonderful books about the man. My favorite is the Art of Walt Disney. I found a beautiful book ” Disneyland The First Thirty Years” at a second hand store. I love it. We are going to Disneyland this year, I’m hoping to find a 60 year diamond celebration book to go with it. I would love the hidden Mickey book. My son & I text pics of hidden mickeys that we find in our everyday life. My phone is full of them. I just found this sight. I’m lovin it. Thank you. Marry Skylar- Dream it, Do it! I have heard such good things. I will have to look into the book. I love all the retro Disneyland books (little to no interset in WDW), meaning the origins and creation of Walt’s Park. I especially like the 1959 era of the “new” Disneyland, books chronicalling the Imagineers, the ones going into the hsitory of the classic attractions (and Main Street) and the behind-the-scenes of the park. I love the classic storybooks, such as Cinderella and Snow White. I would love to read Windows on Main Street! I love all Disney books. I am hooked right now on the Kingdom Keeperz. I don’t have time to read much that’s just for fun since I’ve been in grad school for years and I’m a mom, but I’d love to read the book on the Haunted Mansion that’s listed above. I would love the Disney secrets book! To learn more about our favorite place! all sound great but I would start with Disney Land Secrets. I think it would be a great one to start. I love Disneyland books! I have never actually owned one though, but with the help of a library, anything can happen. I love, though, The Imagineering Field Guides. I love anything about the art of the movies. I especially love looking at the evolution of the character animation. Hi! I am a big fan of Disney Dose and I love to hear the weekly newsletter I am so excited about the new Disney Dose book I am a big reader and am always searching for a good Disney Book to read, my favorite would probably be Mouse Tales, Mickey Mouse is one of my favorites, I also enjoy watching the Silly Symphony on netflix my friend and I love lambert the sheepish lion! Thank you very much Ellie. I also love the fairytale classics, they always make my heart fill with joy! My grandpa would love all these books, he watches all the shows about the Disney parks, even when they are repeats. Any of those books would be a good read for a DA but I would pick the Disneyland Secrets, I’m sure its full of a lot of great insider info. I actually haven’t read any of these titles yet but can’t wait to read them now that I know of them!! I love all these books…I wish I could get them all. Kingdom Keepers, fantastic read! Going to have to check out some of the historical type books from the list above, my oldest daughter would love to look through those, thanks for the list!! One of my favorite coffee table books is The Art of the Disney Princess, absolutely love all the different views and styles of such classic tales. My guest’s comment on it all the time. My favorite book is whichever Disney themed book I’m reading to my 4 year old nephew at any given time. I have a lot of catching up to do on adult Disney books. Lol At least I’m starting my nephew off right! Just love what you are doing. Love the Disneyland Secrets! I don’t actually have a single favorite! We love the Storybook Collections and the Look & Finds. It is an oldie, but The Disney Studio Story is my go-to for a chronological list of Disney features. Especially live action. I still like “Mouse Tales” that I purchased years ago… It was probably the first time that I read anything about “behind the scenes” in Disneyland! Thanks for your support Jodi. I got to read your book, “Disneyland Secrets: A Grand Tour of Disneyland’s Hidden Details,” and I loved all the secrets you listed. I’m an AP and I know a lot about DL, but you still surprised me! So glad that you enjoyed my book Dinah. It means a lot to hear your comments. My family has so much fun with our Hidden Mickey guide whenever we visit Disneyland. I actually just finished up Disney Descendants just before the movie came out and loved it! I love the Kingdom Keeper series, and am now starting on the new children’s series that has just come out. Working in a library, my eye is always drawn to anything Disney. When I was a kid I used to love the 950lb “Art of Walt Disney” from 1973. The Disney Parks section was my favorite and provided some of my first glimpses of WDW. I wore the cover off of one copy. My favorite Disney book is The Disneyland Encyclopedia by Chris Strodder. The Imagineering Workout Paperback, Love this book and it’s quite interactive. The exercises this book challenges the reader and encourages the creativity in me to seek more opportunity in being a artist. And still in the process in completing this book as well. My favourite Disney book is Disneyland Then Now and Forever. First of all LOVE Disney Dose!! I have several favorites but it has to be “Walt Disney Imagineering: A Behind the Dreams Look at Making Magic Real” I am and Engineer at Warner Bros studios so I am a nerd I Guess! Anything to do with Disney I love it. I have a room specially decorated with all my Disney Collection. I also have a Disney Christmas Tree set up all year long in that room. I go up there everyday just to reminise about our million vacation we have takes to Disney World. I have stood at all the resorts. My favorite is Dixie Landings. Remember when it was called that? Now it’s called Port Orleans Riverside. I rotate where I stay every year. One year on the Mansion side and One year on the Bayou side. I love taking the boat to the Market Place. Once a month I go to the Disney room to clean. I turn on a glove while I’m cleaning and then what that is done I move on to the next. I wear a Disney Pin everyday. I am happy to join Disney Dose because I can get my fix everyday. have a Magical Day!! The Art of Walt Disney by Christopher Finch. Amazing illustrations. My top disney books are Disney A to Z by Dave Smith and the Disneyland Encyclopedia. These books are so packed with interesting information! The Posters of the Disney Parks is a book that I really enjoy. The posters are what I remember when entering the park as a kid and now as an adult I appreciate the art even more. My fave is Mouse Tales, I love hearing behind the scenes stories. Thank you in advance and again. I have read the Kingdom Keeper series with my kids so those will always be my favorite Disney books but we also love the Hidden Mickey guides. My kids are always looking for hidden Mickeys everywhere we go! These books sound amazing! There are so many Disney books on the market, it’s difficult to weed out which ones are really worthwhile. Thanks for this great list! So happy to hear that Christine. Now you are the Disney historian for them. 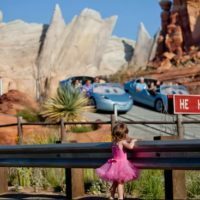 Thank you for your Blog- it is fun to read- plus planning a trip to the Happiest Place on Earth, I love your side bars of tips/tricks/discounts available! Thank you Margo. All of that information can be found at MickeyVisit.com. The four Disney Parade books from the 70s, especially the Fact book, always loved that one. Thanks! This gave me some good ideas for Christmas presents. All of these books look fantastic and would be a great start to my as of yet library of Disney collections and facts. 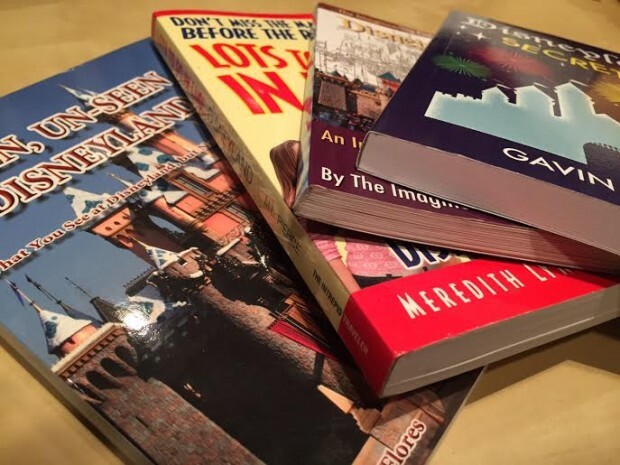 Any book on Disneyland what I enjoy reading! I’ve read and enjoyed the entire Kingdom Keepers series. It’s a great adventure for kids and adults. Good clean fun. Just like everything Disney!!! Any book about Disney would be my favorite book, I love everything about Disney and winning all of these books would be amazing! My favourite is Dream It! Do It! by Marty Sklar. What an incredible man Marty has proven to be and the fact that he was there for the opening of Disneyland and all the subsequent Disney parks, as well as knowing the GREAT Walt Disney. Glad that you like that one. There are some great stories in there. I don’t have a favorite. I love anything Disney. Love Disneyland a lot of wonderful memories there, only been to Disney World once many eons ago and I think that I would love to have seen the book Things to do in Line when I went with my grandson’s,would of been fun, but we did play the hidden Mickey games and did well. 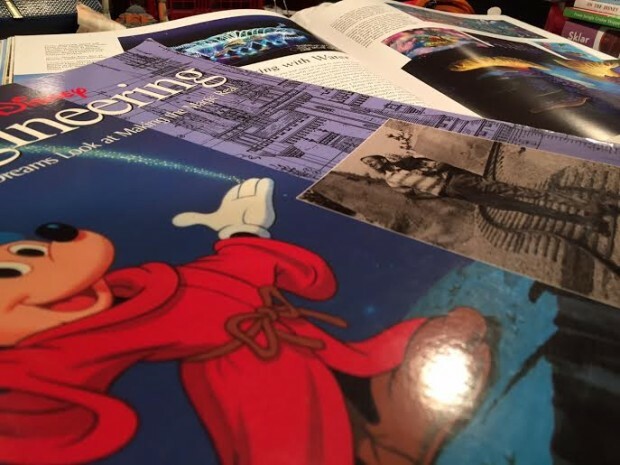 I think that I would love to also read (for me) Walt Disney Imagineering: A Behind the Dreams Look at Making Magic Real is one I could really enjoy, thank you for bringing back such great memories. My favorite Disney book is Donald Duck: 50 Years of Happy Frustration. Thanks for the giveaway. I hope that I win. My favorite Disney Book is a well worn Haunted Mansion companion book that came with my childhood HM record. I know, I know, I know it’s not recent, is practially a booklet and was geared to children, but it’s my honest top fave due to the memories assiociated with it. A very close second is the Jeff Baham Doom Buggies HM book. That is many people’s favorite. I love the artwork on there. A 2016 Disney calendar is exactly what I need for my office! They are still being sold on Amazon. Happy New Year! Glad that you enjoyed it Jerry. “Walt Disney and Live Action” by John G. West, a great book about the live action films that Walt was personally involved in. Also “The Walt Disney Film Archive: The Animated Movies 1928-1968”, by various authors. It’s a MASSIVE book, around 13-14 pounds and spendy, but well worth it. It started selling for $199 but it’s been down to as low as $67 new on Amazon. “The Walt Disney Studios: A Lot to Remember” by Rebecca Cline is a great one, but hard to find since it was pulled out of circulation a few days after it was released. Fortunately I had pre-purchased it for day of release on Amazon and was able to get a copy.